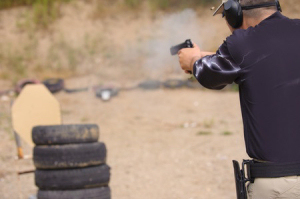 We also suggest you read "Why you want to Choose your Firearm Instructor Wisely!" FREE INTRO CLASS EVERY MONTH! Defensive Strategies, LLC offers a FREE Basic Pistol Shooting & Safety class on the first Wednesday of every month. The FREE Basic Pistol Shooting & Safety course is a 2 hour introductory course and includes classroom time learning firearm safety, storage and maintenance. Students will learn the NRA’s rules for safe gun handling and storage; firearm parts and operation; ammunition & components; how to unload certain action types; shooting fundamentals; primary causes of firearms accidents; and cleaning the firearm. This Non-shooting course teaches students the basic knowledge, skills, and explains the attitude necessary for the safe handling and storage of firearms and ammunition. Ladies Only Pistol Class < Same as the SAFTD F.A.S.T Handgun Class but for Women only. We usually schedule one of these classes per month, but we'll do special classes for a group of ladies that are interested. SAFTD F.A.S.T. Handgun < SAFTD F.A.S.T Handgun is specifically designed to provide a person new to handguns the opportunity to gain that knowledge and learn the basics of operation, cleaning and maintenance, safety and much more in a convenient 4 hour course. “F.A.S.T Handgun” is also meant as an introductory course for students new to handguns prior to taking SAFTD Defensive Handgun 1. We usually schedule one of these classes per month, but we'll do special classes for a group that are interested. SAFTD Defensive Handgun 1 < Excellent course for the person familiar with handguns but want to use it as a defensive firearm either at home on for concealed carry. The Second Amendment Foundation Training Division is a new National Training Organization based solely for the defensive use of handguns, carbines and shotguns. SAFTD Women's Defensive Handgun 1 < Same as the SAFTD Defensive Handgun 1 but for Women only. 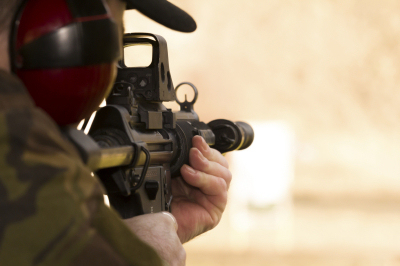 NRA Basic Rifle Course < Excellent course for the beginning rifle shooter. Covers all the basics and fundamentals in an 8 hour class. NRA FIRST Steps Rifle < This is scaled down version of NRA Basic Rifle in a 4 hour class designed for 4 students or less with your handgun. This class can be done over a kitchen table to go over the basics and then we'll bring you out to the range to apply what you have learned. SAFTD F.A.S.T. Carbine < F.A.S.T Carbine is specifically designed to provide a person new to Carbines the opportunity to gain that knowledge and learn the basics of operation, cleaning and maintenance, safety and much more in a convenient 4 hour course. “F.A.S.T Carbine” is also meant as an introductory course for students new to carbines prior to taking SAFTD Defensive Carbine 1. SAFTD Defensive Carbine 1 < Excellent course for the person familiar with carbines but want to use it as a defensive firearm. A person new to the use of a firearm for personal defense typically has a broad range of questions and is faced with learning a number of skills that are critical in the use of a firearm – in this case a Carbine – to defend themselves, their family or someone in their charge. Defensive Carbine 1 is specifically designed to provide a person new to carbines the opportunity to gain that knowledge and learn those skills. The Second Amendment Foundation is a new National Training Organization based solely for the defensive use of handguns, carbines and shotguns. 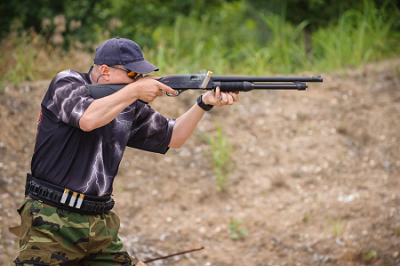 NRA Basic Shotgun Shooting Course < Excellent course for the beginning shotgun shooter. Covers all the basics and fundamentals in an 8 hour class on the art of sport shooting clays. This is not a defensive class. NRA FIRST Steps Shotgun < This is scaled down version of NRA Basic Shotgun in a 4 hour class designed for 4 students or less with your shotgun. This class can be done over a kitchen table to go over the basics and then we'll bring you out to the range to apply what you have learned. SAFTD F.A.S.T. Shotgun < F.A.S.T Shotgun is specifically designed to provide a person new to Shotguns the opportunity to gain that knowledge and learn the basics of operation, cleaning and maintenance, safety and much more in a convenient 4 hour course. “F.A.S.T Shotgun” is also meant as an introductory course for students new to shotguns prior to taking SAFTD Defensive Shotgun 1. SAFTD Defensive Shotgun 1 < Excellent course for the person familiar with shotguns but want to use it as a defensive firearm. A person new to the use of a firearm for personal defense typically has a broad range of questions and is faced with learning a number of skills that are critical in the use of a firearm – in this case a shotgun – to defend themselves, their family or someone in their charge. Defensive Shotgun 1 is specifically designed to provide a person new to shotguns the opportunity to gain that knowledge and learn those skills. The Second Amendment Foundation is a new National Training Organization based solely for the defensive use of handguns, carbines and shotguns. If you want to learn how to shoot or just get some valuable pointers on how to improve your stance, grip, offhand shooting, accuracy etc and you want to do it privately. We understand life can be hectic sometimes and not everyone can make group classes on weekends or even feel comfortable in a group class. We can help, all you have to do is contact us and let us know what you want to learn or improve on such as pistol, rifle, shotgun, defensive pistol, concealed carry, laws and more. Hourly rate is $75 per hour plus ammo cost, contact us today at 1.603.566.1727 - we hope to hear from you soon.